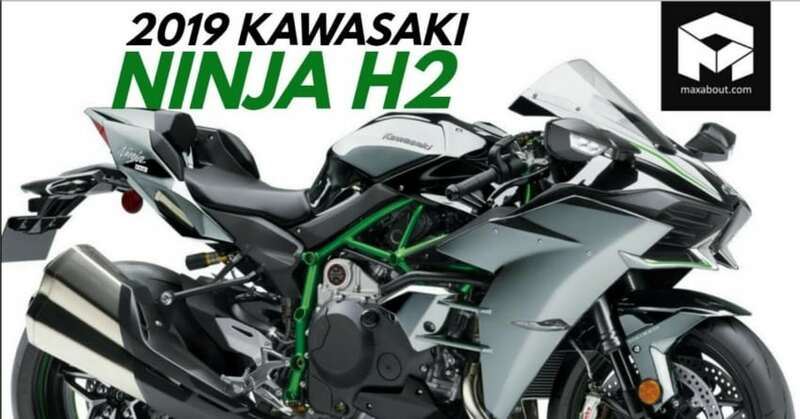 2019 Kawasaki Ninja H2 is now officially available in India for INR 34.50 lakh. The only supercharged motorcycle around the globe is now more powerful than ever, thanks to the updates that Kawasaki pushed into the H2 for this typical model year. The 998cc, inline-4, and liquid cooled engine now produces maximum power of 231HP at 11,500 rpm. The same goes up by 12HP when Ram Air assistance is available on the standard H2. The torque value is even class-leading at 141.7 NM, produced just 500 rpm short of the maximum power value. 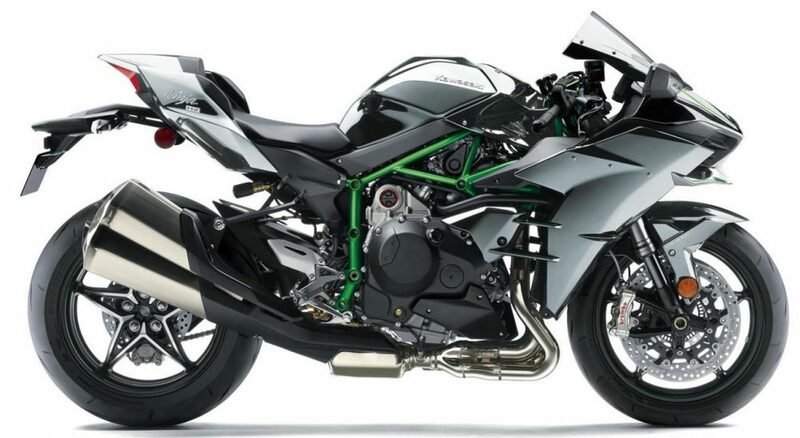 The bodywork of Ninja H2 is highly aerodynamically efficient, reducing the amount of power that the engine needs to waste in fighting the upcoming wind. The design is different from regular superbikes, flaunting smaller side fairing that is enough to keep rider fresh and fatigue-free on track rides. The rear end guarantees no pillion interference as Ninja H2 is available with a single seat layout and impressive backrest design for ease of riding at all times. The paint seen here is magical, carrying self-healing properties for minor scratches through a special coat on top of Mirror Coated Spark Black shade. 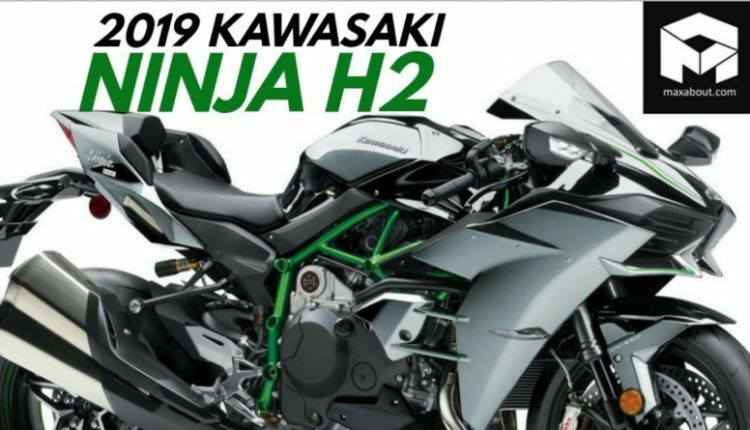 2019 Kawasaki Ninja H2 weighs 238 kg and uses a reliable trellis frame with loads of electronics to handle the highest available power output on a road-legal bike. 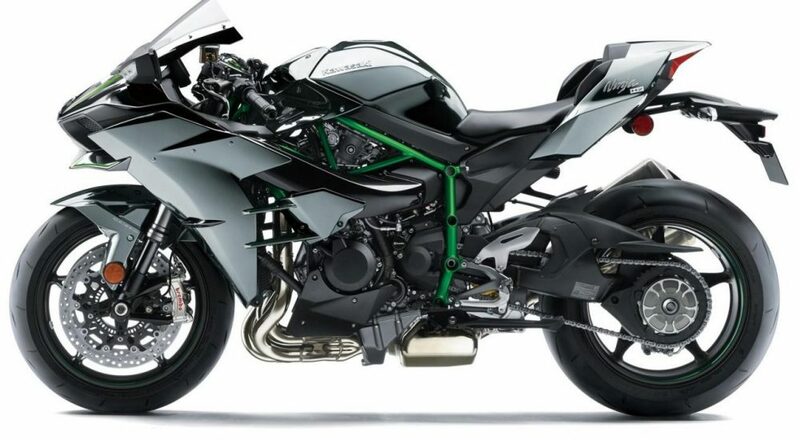 The wheels still carry the original design that is specific to Ninja H2, made out of aluminum and carrying black/chrome finish. 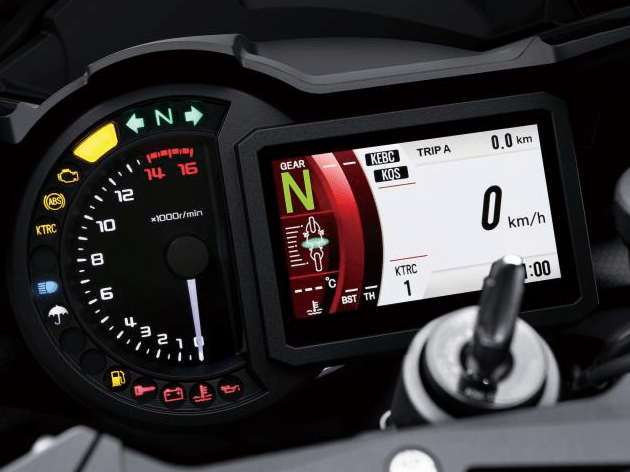 2019 variant comes with a colored TFT display, helping rider enjoy recording and viewing values in an even interactive manner. The model comes with dual 330mm Brembo brakes with cornering management, Bosch IMU with traction control and 6-axis inertia management. The 2019 variant is priced INR 1.20 lakh over the older variant, offering 31HP of more power in comparison to the standard 2018 H2.